Alo Yoga's Instagram feed demonstrates how fashionable and functional the brand's clothing is - snaps of Taylor Swift and Gigi Hadid wearing pieces are interspersed with professional yogis captured in incredible poses. 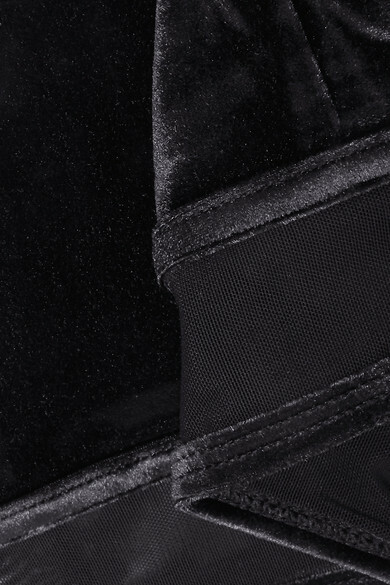 This sports bra is made from soft black velour enhanced with four-way stretch and trimmed with breathable mesh. The racer-back will allow for a complete range of movement during your flow. Shown here with: Alo Yoga Leggings, Alo Yoga Yoga mat.